HomeSo Why do Native Americans have so much Neanderthal DNA? So Why do Native Americans have so much Neanderthal DNA? Warning: highly speculative post ahead. It’s all measurement error/convergent evolution/something else other than archaic admixture. As much as I hate to say it, I still consider this very likely. There is just a ton of stuff that we don’t about the Americas–like how and when people first got here. I’m sticking here with what I think are the most scientifically-supported theories, but a lot of this is still quite disputed. In particular, all of this genetic admixture business is still kind of speculative, and when people start talking about finding admixture in the admixture, either life is totally awesome, or we’re trying too hard. A lot of people seem to look at this data and respond with something like, “But Neanderthals are from Europe, not America!” But this is not a big issue; the Indians are descended from people who passed through Neanderthal-inhabited regions (the Middle East), just like everyone else with Neanderthal DNA. The migration to the Americas took place long after they acquired Neanderthal admixture. But this doesn’t explain why they have so much of it. My “concentration on the edge” theory states that when one population is displaced by another population, you end up with a “fringe” of the original population’s traits. Sometimes this fringe results in isolated groups, as the invading population completely surrounds or cuts off a remnant population from their former range. The Ainu, for example, resemble certain other Oceanin groups, but not their neighbors, the Japanese. I’m speculating here, so don’t take my word for it. Red hair is highly associated with the so-called Celtic fringe. It looks like it’s highly concentrated in Wales, Scotland, and parts of Ireland, but since I know a little history, and I know these aren’t areas of concentration, but just the areas that managed to escape being displaced by Anglo-Saxon invaders, just by virtue of being further away from the south-east coast of Britain. 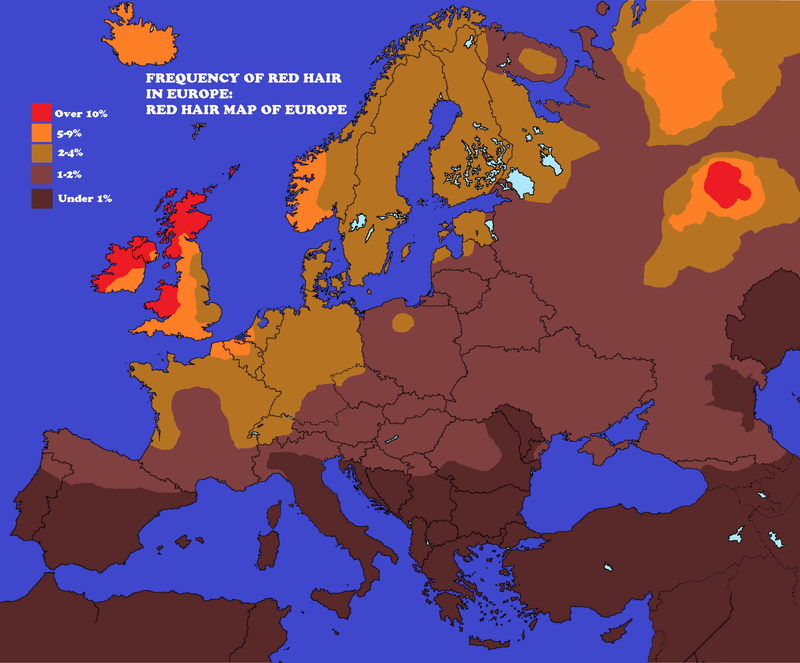 One can imagine that the isolated dot in the middle of Russia might, at one time, have been connected with the other red-haired regions before other peoples invaded the lands between them and cut them off. Blond hair looks like it has been spreading steadily outward from a central source. So what does this have to do with Neanderthal admixture in Native Americans? It means that I think the Native Americans may have closer to original levels of Neanderthal admixture, while people in Europe and Asia have lower admixture because they mixed with later waves of people who came from Africa and had no Neanderthal admixture. Alternatively, the harsh conditions of life in the Bering Strait–where some scientists think the ancestors of today’s Indians hung out (or “paused”) for thousands of years before the ice sheets opened up to let them through–may have selected for winter adaptations that came from ice-age Neanderthals. I have speculated previously that Type-2 Diabetes may actually be a winter adaptation picked up from Neanderthal DNA; now scientists think this DNA may be responsible for high rates of Type-2 Diabetes in Native Americans. One of the interesting things about the Neanderthal DNA hanging around in people is that it appears to code for certain immune responses. West Hunter recently had a great post (TLRs, PAMPs, and Alley Oop) detailing how they work, but for our purposes, “provide immunity” is sufficient. Austin Whittall suggests that back when smallpox, influenza, measles, and all of the other Western diseases tore through the Native Americans, killing about 90% of them, the guys who had more Neanderthal DNA were more likely to survive because they were more likely to be immune to the same stuff as Europeans. By contrast, those Indians with less Neanderthal DNA may have had less immunity to the European diseases, and so been more likely to die, leaving behind a population of high-Neanderthal DNA people. 5. One thing we can say for sure: if the data’s correct, the peopling of the Americas was more complex than previously thought. D. The low-Neanderthal and low-Denisovan area along the Baja gulf in Mexico. I’ve got nothing on A and C; supply your own theories. A couple of papers in Science and Nature recently proposed that Melanesian-related people somehow made it to the rain forest long after the other Indians got to the area. West Hunter helpfully summarizes them. West Hunter suggests that the Melanesian-related people with their high-Denisovan DNA got to the Americas first, and were then replaced throughout the continents by later invaders, the ancestors of current Indians. The one place the Melanesian-related people managed to survive was in the depths of the rainforest, a very difficult place to conquer. Even today, there are “uncontacted tribes” living in the Amazon rainforest; if anywhere were a good spot for a group of humans to avoid getting conquered, the depths of the rainforest is a good one. 7. The low-Neanderthal and low-Denisovan area along the Baja gulf in Mexico. Are these people descended from a totally different group that came directly from Africa? According to the Wikipedia, the Seri speak a language isolate–that is, their language, like Basque, doesn’t appear to be related to any other language on Earth–and they are not culturally connected with any of their neighbors. They’ve also held out significantly against Spanish and Mexican assimilation. In other words, they might very well be a totally isolated population that is not related at all to any of their neighbors. Some more information on the Seris. I found these maps over on Austin Whittall’s post on Denisovans and America. Looks like the same spot, doesn’t it? The two different “real” maps how different things because they come from different scientists who came up with different data, but the overall picture is similar–if you look closely, both maps show a hotspot in Israel, for example. The second map looks less detailed, (hence their miss of several Middle Eastern hotspots,) but has a wider global range, which is obviously useful for our purposes. They also help show the importance of not putting too much stock in any single study about the distribution of a particular gene or allele or whathaveyou; different scientists come up with different numbers. At any rate, while this could be just a totally random coincidence, if it isn’t, it’s awfully interesting, isn’t it? I know the Egyptians circumnavigated Africa; the Carthaginians and Phoenicians were also noted sea-farers. Or perhaps some other group I know nothing about from the region, before folks started keeping good records. Who knows? 8. Other people’s theories: Neanderthals, Denisovans, and H erectus made it to America before we did, and H Sapiens intermixed with them after they arrived; humans evolved in American, and then migrated to the rest of the world from there. I’ve met a few redheads from that part of Russia and they were of Jewish descent. A bit of further research would show that the red-headed area of Russia might be related to the “Red-headed Warrior Jews” of Russia, i.e., the Khazars. Evolutionist, at least you’re not saying that Ashkenazim are Khazar. One of the biggest misconceptions out there tbh. Ashkenazim cluster with Italians, genetically, and have similar enough personalities that they joke about it. Plus there’s kind of a documented history of migration to Italy and then Germany. The idea that there could have been some kind of part-Khazar Jewish community that persisted long-term in the Khazar area isn’t crazy, but there’s no more evidence of Ashkenazim being descended from them than from Cochin Jews. At this point, there’s so much weight against the Khazar theory, it doesn’t make any sense. To be fair, everyone I’ve met from Russia is Jewish, including the blondes and the redheads. The red hair in Russia is due to the Varangians of Kievian Rus, Vikings, that traded and conquered the area in the 8th century. high possibility that the Kazan, that red head concentration in Russia, are the descendants of a group of modern man isolated for the length of an entire ice age in that valley with a population of neanderthal, interbreeding recurrently and producing the white skin/red hair population. When the ice receded, this group, which is highly aggressive burst out in all directions, especially following the taming of the horse. I believe there is quite a lot of archeological and historic evidence that they: 1) went west, conquering Greece, Tuscany, all the way to Ireland; 2) went south west, conquering the Hittites and then all the way down to Egypt; 3) went east and conquered the Chinese (red haired devils) around 5,000 years ago, were repelled after 1,000 years, but left a big dump of neanderthal DNA as well as a fear of red hair among asians – see red haired mummies with chariots and wearing plaid in Mongolian desert from 5,000 years ago; 4) went by water all the way to Peru – see long headed, red haired skulls of Peru from 2,000 years ago. evidence of worship there and another large dump of neanderthal DNA, remembering that native Americans left Asia before the big neanderthal DNA dump of 5,000 years ago. Eastern Asians separated from Europeans long ago. Native Americans, originated in Asia, they share almost the same genetic material that most Asians. However, the first group of Asians that crossed the Behring strait, before getting into Alaska, they mix with an eastern European group. So, Native Americans from all of the Americas (fr Alaska to southern Chile and Argentina) share most genetic material with Asians and also a little bit with Eastern Europeans. Indian genetic history is very interesting, and I’ve been doing more research since this post. It looks like they’re descended from several different migration waves. The folks in the depths of the rainforest have Melanesian DNA; we don’t know how or when they got there, but I suspect the Melanesians got there first because invaders find it very difficult to conquer rainforests. Around them, throughout the rest of Latin America, we have a second group, and then to the north we have a third group, the Pima if I recall correctly. Up in the arctic, there have been even more groups, like the Dorset. But few people alive anywhere today are descended exclusively from just one group; most groups are all mixed up. The groups we call “Asian”–Chinese, Japanese, etc.–look like they’re descended from two main groups, one that spread downward from Siberia and one that spread upward from south Asia. (That’s my interpretation, anyway.) The Siberian group also spread westward; in the West, it mixed with a European group, eventually producing the Ugric-speaking peoples (though today most Ugric-speaking people in Europe have extremely little DNA from these groups.) So it seems quite reasonable to me that one of these Siberian groups, that might have mixed with one of these eastern European groups, or could have just recently split off from them and so still resembled them, were the guys who crossed the Bering Strait, whereas the guys from southern Asia, who’ve contributed the bulk of the current Asian DNA, would have had a rough time getting all the way up to Siberia in time to cross the strait! Who knows, back when the Indians crossed over, Siberians might have been the dominant people in east Asia; the people from the south might have come up later. Wrong! Why do so many people incorrectly insist Native Americans are Asians and came across the Behring Strait? Hasn’t education risen far beyond the errors taught in school as century ago? W-T-F up! Native Americans are not one single genetic population! Only a portion of the Native American genetics comes from what might be considered as Asian contributors. The Asian contribution is seen primarily in Natives with O blood types. Algonquian speakers like the Blackfoot display a high 82% A blood type. Worldwide the population of A type blood is only 16% yet here we have the Algonquain and Anishinaabe people and the associated tribes ranging from 25% to 82% while all other Native Americans from the North pole to the South pole are always O type blood without exception. This alone should tell you they are not the same genetic population. But the story does not end there! There is also a very large % of Haplogroup X DNA. Original Anishinaabe people like the Ojibwa Chippewa Odawa, Ojibwe, Potawatomi, Oji-Cree, Mississaugas test at about a 26% Haplogroup X DNA. It is a hard scientific fact that this mitochondrial marking is passed down from a single mother in the last “approximately” 8,000 years. Therefore any other population on the planet with the same marker at a similarly high 1/4 population carrier of this marker constitutes living relatives of these Algonquain and Anishinaabe people and the associated tribes..
Look the world over for any populations of Haplogroup X DNA to find relatives of these people and they do not exist in Asia! Therefore Asia is not their derivative location. Asia must be ruled out if one connects the dots. There does exist one other population with the identical marker! They also exhibit exactly the same 26% among their population to this day. I will return to that population shortly. Using 86 complete mitochondrial genomes, that all Native American haplogroups, including haplogroup X, were part of a single founding population, thereby refuting multiple-migration models. 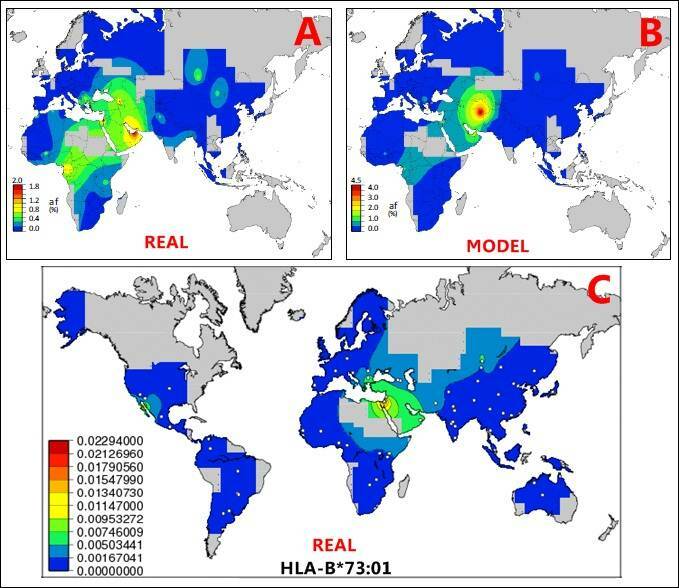 One should also note that this rare X Halogroup exists at a significant albeit lower % in two other geographies. In each case where this super rare X Halogroup exists today is on an ocean or sea port among the natives. Carthage — home to the Sea People – shows an 8+% X Halotype. Phoenician from Carthage had European ancestry. The Phoenicians are recognized as one of the great early civilizations of the Mediterranean. First recorded as the descendants of the Canaanites, they inhabited the shores of the eastern Mediterranean and dominated the maritime trade routes of both the eastern and, later, the western Mediterranean during the second and first millennium BCE. We actually know little about the Phoenicians other than what was written about them by the Greeks and Egyptians. It is crucial not note that the Sea People/Phoenician were never a singular genetic population. There were instead a group of populations using one alphabet and language that live by the sailing beyond the scope of other populations. There travels included Wales and Ireland for example. How far out into the Atlantic they ventured is unknown. Kennewick Man Analysis of the 8500-year-old skeleton of the Kennewick Man, found in Washington State, United States, showed that his y haplogroup is Q-M3 and his mtDNA haplogroup is X2a. In other genetic testing and markers among ancient Algonquian speakers seems to relate other European populations. Another curiosity is that the very first Native American population found to date are the Bog People of Windover Florida. This population goes much further to bust the bubble of Native American ancestry as they all test out as Europeans some 8 to 10,000 years ago living in Florida. No! All Native Americans are not of Asian extraction. Asian genetics is a contributor but JUST ONE contributor to TRUE American Genetics! As it was from the very beginning it is quite obvious that America is and has always been a “melting pot”!!!! There were three migrations from Siberia into the Americas. There’s digs in the Americas that date to 200,000 years ago. No one pays attention because it doesn’t fit the model. Another bunch of weird stuff is the ancient maps that correspond to ice age water levels. They seemed to have been copied and recopied over the centuries. I don’t know what this means but it’s interesting. Maybe these guys know. …and no I don’t believe in aliens. There are many mysteries left in the world, and a great deal of nonsense spouted here and there. You can’t always tell ahead of time what’s nonsense and what’s just a mystery. It is easy to see how scientists might find a whole plethora of evidence supporting the idea of east-Asian Indians crossing the Bering Strait 15-40,000 years ago, and have on the other hand a small pile of evidence of people way down in South America at the same time, and not know what to do with it except say, “well, the big pile of evidence doesn’t point to people being here early enough to create the small pile, so most likely there’s just been some mistake made in dating those artifacts.” Then later someone says, “Hey, maybe the small pile was just left by a different group of people that arrived earlier, perhaps by some other route.” You get enough evidence, and that starts looking like a viable theory. I’ve read Maps of the Ancient Sea Kings; I think a lot of what he’s got there is the Medieval belief in the antipodes, which they stock on the maps just so there’d be *something* in the southern hemisphere rather than a big empty stretch of water. In the Bible, the apostles are commanded to spread Christianity to the “four corners of the earth”, so they reasoned therefore there must be four corners for humans to live on. They knew the earth was round, so “corners” was taken to be landmasses; they had Europe, Asia, and Africa, so that implied there was a fourth one out there somewhere. Likewise, I suspect the Portolans are accurate just because the guys who made them put in a ton of hard work assembling a mountain of data from different ship logs of how long it takes to get from point A to point B, which may have been accomplished by a few particular hard-working individuals who decided they were going to do such a project, rather than via some gradual, incremental process that we’d be able to easily document. Scientists need to read the KJ Bible they will have all the DNA information they need. God says he spread mankind across the world on several different occasions. There has been many different earth ages. The different races come from the fallen angels. God fought Satan hard to keep the giant DNA out of Adam’s and David’s blood line so Jesus blood would be pure. Seek the truth and you shall find it in God’s Word. What you’re seeing are the “Udmurts”, a non-Slavic ethnic group who have lived in the Ural Mountains since no one knows when. They’re supposedly the most red-headed people on Earth. The Scandinavian Vikings went through Russia in their expansion era 800-1000 CE/AD. Looks like Udmurts are Finno-Urgic people related to Magyars, Estonians, Sami, etc. Genetically I think they look very similar to other European groups, but with less of the component other Euros share with middle easterners and more of the Siberian oreast Asian component (glance at my header to see what I mean; Siberian and east Asian are yellow shades and Middle Eastern is light blue); many of them arrived in Europe within written history due to displacement by the Mongols. Chances are good the Udmurts got displaced/overrun by the Mongols, too. Maybe the high concentration of denisovan(or you meant neanderthal?) genes in south america follows the same logic of Tibetans, who have those genes to survive in high attitudes. In other words, maybe the concentration is in the Peruvian-bolivian andes where they need this kind of adaptation and the environment selected those with more denisovan genes to survive there. Red hair like blonde hair and light skin is an adaptation to cold temperatures. We humans spent much time living on trees. If in a tropical jungle any body look up, the foliage tends to look darker close to the trunk; so dark skin and hair, in those tropical areas, helped human survival, despised & confused their predators. However, in non-tropical lands, in temperate or cold forests, trees except pines are deciduous. Their leaf became yellow and red, before they fall and get covered by snow, so humans living in those tree adapted their hair and skin coloring to despise predators during the time that trees have few or none leaves. 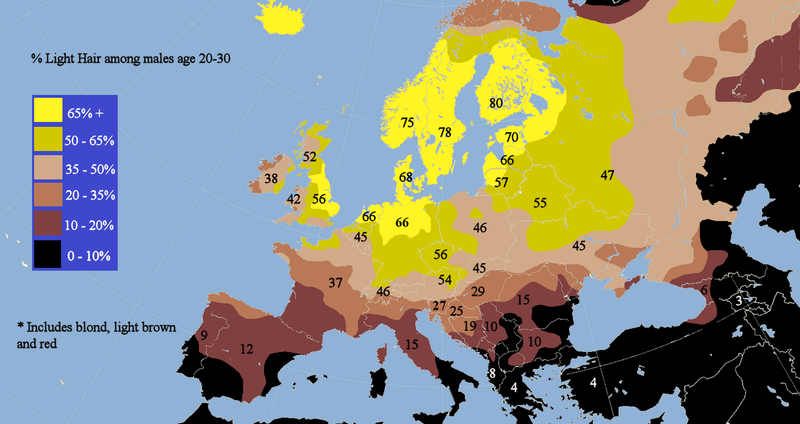 the prevalence of light hair has been directly linked to the need for sunlight-generated vitamin D, hence the distribution within more northern latitudes, one exception being the Inuit, whose native diet contains a high level of vitamin D.
Blond-haired Germans live at the same latitudes as raven-haired Mongolians; Finns live at the same latitudes as Siberians. There are actually a lot of (small) groups of people living in Siberia and northern North America (not just the Inuit) who have dark hair. It may just be that all of these peoples have been eating diets higher in vit D than Europeans, or perhaps Europe is cloudier than other places at similar or more northerly latitudes, but I hesitate to declare the matter solved. Yes, you will find red haired people in Russia and Ukraine. There are also red haired people in northern Spain, northern Italy, among some tribes in Syria, Turkey, Afghanisthan and among the Berbers in some Middle East countries. Also, some Melanesians that look like SubSaharian Africans, but they are not the same people. Some Melanesian (Salomon Island and others), have red or blonde hair and light eyes. You can see among them red or blonde afros ! However, their light eyes, red and blonde hair is caused by different genes, than other blonde and red hair and light eyes in the rest of the world. 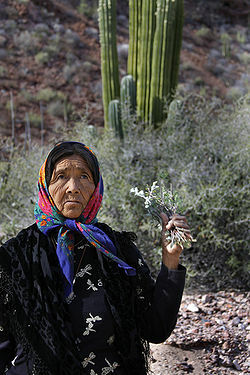 There are, also, red haired people in South America, due to European emigration. A common myth is to believe that only Spaniards and Portuguese emigrated to Latin America. South America, received great waves of emigration from all over Europe, including Northern Europeans countries, starting in the late 1600s; due to war, famine and religious persecution of catholics. There enough red hair all over the world; by the way I am red haired. Yes, I think Argentina is, what, 55% Italian? I don’t think we know for sure, yet, why blond and red hair exist. People in China live among deciduous forests, and people in Siberia have to deal with winter, but they have black hair. I don’t think we know yet when red hair evolved, but it looks like blond hair is only about 11,000 years old. By that time, we were the predators. But it’s an interesting theory! Regarding red hair in Russia… there are folk legends of red haired giants who traveled from the east, a warlike tribe described much like the Celts. They didn’t wear clothes, they were cannibalistic, they were highly sexual. Over time their populations dwindled due to warfare and getting driven out until they retreated to the seas. I think mummies tend to have red hair because the darker pigments degrade faster, leaving a reddish appearance behind. Regardless, there are many interesting legends, some of which may be true. Though I don’t remember the Celts being particularly naked. It gets pretty cold over there. Native Americans also talk of being created in place out of clay from the bottom of the sea, and have been in the Americas forever. They also talk walking on rainbows after their god created them from Dolphins, so now must we take their creation stories as gospel? Because if you believe their were Red Headed giant indians, then we must take their in situ creation stories as truth and nothing but the truth. You can’t pick and choose which oral traditions that fit with your agenda. That would be hypocritical! You’re on the right track with red haired giants, a warlike tribe traveling from the east, leaving red haired mummies in Asia and Egypt, people who retreated to the seas. Study the origins of haplogroup R, they came from the Russian Steppe. Some were large red haired people. They began a migration from Asia, into the Middle East and Europe. They raided and plundered all the way from northern Asia to the British Isles. Their actions of warfare, genocide, slavery, and taking concubines led to the Y-chromosome bottleneck that began to occur about 10,000 years ago (coinciding with the near extinction of the mammoth in Siberia). Much later, many red headed former slaves of civilization, ancestors of the red haired Siberian mammoth hunters, were not allowed to own land and had to take to the Mediterranean Sea to earn their living as fishermen, sea merchants, and sea raiders. Search for “A brief history of Mediterranean migration”, it is a very interesting history of migration throughout the Mediterranean and into the Americas. If the ancestors of the bison were able to get to the new world via the Behring Strait about 400000 years ago, why would archaic people not have been able to do the same? American anthropologists, for years, were so indoctrinated that Clovis First had been their battle cry for decades. Now, this doctrine has given way to ok, there have been other people before the Clovis folks, but they were also modern. I suspect that eventually irrefutable traces of archaic people will be found, and this time, archaeologists will hopefully have the fortitude to declare that indeed there were others here before the moderns came. But we shall see. Homo erectus found in the Americas would be pretty awesome. There is no such thing as Clovis People, there is the Clovis spear points, that they used. And obviously Clovis tool kits were invented by the people who were the ancestors of ” Clovis People”. The ancestral native Americans were in the Americas far long than 13.000 years, but were a genetic isolated breeding population for thousands of years prior to the advent of the Clovis horizon. And since pre-Clovis remains from humans have been tested S far back as 14,600 years, it is obvious that they were already in the Americas before the opening of the Ice Free Corridor. They were already in America as far down as the tip of South America, and they were the Ancestral stock of all modern Native Americans. Clovis and Pre-Clovis are not separate genetic populations, one is ancestral to the other, and they could of been in the Americas as Far Back as 40,000 years ago. There is no genetic or archaeological evidence that pre-Clovis and Clovis were not related. Could the high concentration of Neanderthal be due to such long term hermetic living?? While everyone else in the world was still mixing, the Native American became cut off from the rest of the world, and evolved on it’s own until colonization. Could this explain the maintained level of Neanderthal genetics?? Well, “Natives” are a branch of the Mongoloids who, through back migrations had more contact with Neanderthals and bred more with them. They have on average 20 percent more Neanderthal DNA than Europeans due to this. It wouldn’t be too far of a stretch to consider this as the reason why NAs have so much Neanderthal DNA. Native Americans are not mongoloids, they were in America prior to the genesis of the mongoloid race. They are their own race and not a subset of the mongoloid genetic stock. It is plain that their ancestors had different skull morphology than mongoloids. And since they are far older, it is possible that mongoloids are the descendants of Native Americans. How old is the Mongoloid race if Amerindians are older? Doesn’t genetics show that the two groups are closer to each other than they are to everyone else? Don’t they share most blood types? Amerindians are Mongoloids; they split from other Asians pretty recently. Caucasian “Europeans” are also related to a branch of the Mongoloids. Caucasians have their origins in the Steppes of Northern Asia, near Lake Baikal, just north of Mongolia (read “24,000-Year-Old Body Shows Kinship to Europeans and American Indians”). The North Asian Steppe is the origin of the R haplogroup, ancestors of European R1a and R1b. The reason that Europeans have less Neanderthal influence than the people of northeast Asia and the people of the Americas is because Europeans have more African influence. The red and blonde haired Asiatic Caucasians from the Russian Steppe encountered and mixed with African people during their conquest of the Middle East (beginning about 10,500 years ago) and as they raided and plundered their way across Europe (beginning about 7,000 years ago). For the Native Americans, there was no back migration breeding with Neanderthals, breeding between Neanderthals and Modern Humans was a very rare occurrence. I don’t think there’s been any evidence of Neanderthals in America, but it’d be cool if there were. There is not one case of haplogroup X2a in the south of France before the Neolithic. And when it does show up, it’s a different sub clade X2b, X2b is not ancestral to the Native American x2a. The occupants of Southern Europe are not ancestral to today’s Europeans and it looks like they didn’t pass on their genes, modern Europeans are in fact not nativ to Europe, and came from Asia, the Middle East and Africa, bred and then migrated into Europe in the late neo-Lithic. I’m interested if you have any Clovis or earlier pendents. An example might be something about the same size and conformation of a two thirds gone bar of soap, rectangular and tapered all four sides. There would also be two holes drilled in it in the center . The new technique of analyzing DNA in cave dust should be able to answer some of these issues. It just needs to be applied to some of the Appalachian caves in VA, WV, KY or TN. They have pre-clovis sites in those regions which indicate continuous habitation. Yes. I am always hopeful that new DNA techniques will reveal more fascinating stories from our past. Was hoping you could point me in the direction of the data in support of this claim. I wasn’t able to find it myself but find I would like to as I am formulating my own hypothesis. Thanks! 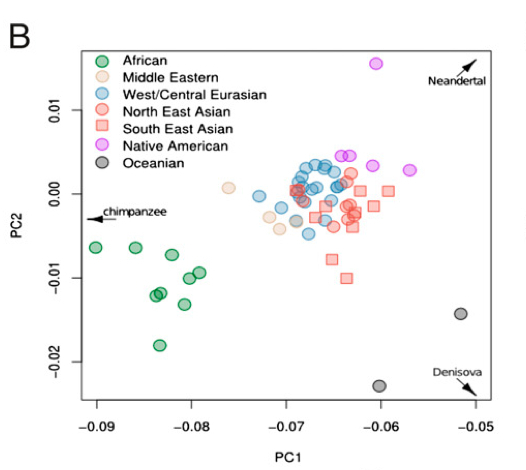 The Denisovan and Neanderthal DNA maps seem to correlate in the Americas — for instance, the Brazillian guys seem to have a bit more neanderthal DNA than their neighbours, too. A possible relation to the Australian Aborginals would explain the darker skin of the Amazon people (even compared to others at the same latitude) Also, don’t the Inuit have large skulls, just like neanderthals? I know nothing about Inuit skulls, but they are AFAIK the smartest hunter-gatherer group. Oh, we know the Inuit migrated later. They showed up in Alaska around 1000 AD and wiped out the Dorset culture, whom the Norse had documented in Greenland. You realize that the Norse were vicious raiders and slave owners in 1,000 AD, with advanced warfare weapons and tactics, and you believe that the Inuit were responsible for genocide of the Dorset culture? The Norse never made it to Alaska so I can’t really blame them for wiping out the locals. I agree the Norse were pretty darn vicious and brutal. Recent discovery of tool manipulated Mastodon bones in California date some hominid activity in California to 130,000 years ago. Looks like this puzzle is coming into focus. If only 1% of people in Spain have red hair what are the chances of my 100% Mexican nephew having red hair?, he does have red hair and is 100% Mexican! Many ancient Hebrew rulers are thought to be red headed, and in Ancient Rome there was a stereotype that red headed people were assumed to be Jewish and were assumed to earn their living on the sea. Christopher Columbus had red hair and there is evidence that he practiced Judaism. Columbus’ first voyage left Spain on the day that Jewish people were to be expelled from Spain, or would be forced to convert to Christianity. Columbus brought 20 ship loads of people from Spain to the Americas. Odds are, a lot of those people also had red hair. The discrimination against people of Jewish faith and ancestry may be why so many people (perhaps a lot of red headed people) got onto ships leaving Spain bound for the Americas (although the promise of abundant land with gold and a large population of subservient people may have helped to fill Columbus’ ships). It’s not true that 90% of Native Americans were killed by Western deseases. It’s a myth generated by Americans who didn’t want to admit their genocidal crimes. Most American Indians were wiped out by European invaders, and the Western deseases they brought with them only account for 30% of the Nativa American massacre at most. Even this number might not fairly reflect the reality, for many of those who died from deseases may have survived had their traditionall social / medical care systems not been annihilated by the invaders. 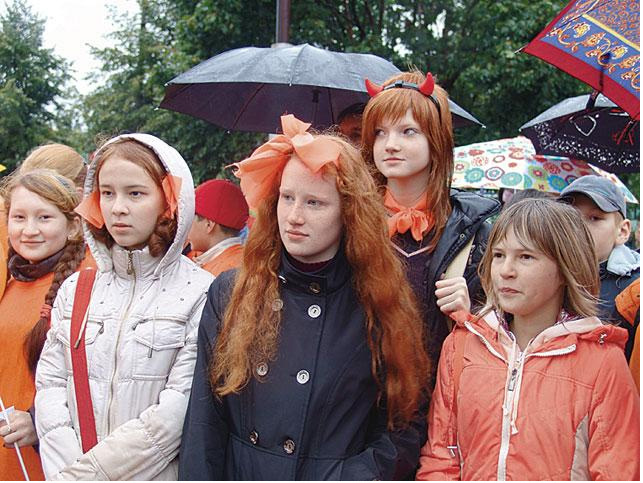 Regarding redheads in interior region of Russia, it appears to be a population frontier, bordered by more populous areas on 3 sides, but itself having a density of 1-2 people per sq. km. If I identified it correctly. See map at http://foggofwar.blogspot.com/2015/03/the-baltics-as-russias-next-target-and.html . All I know is, is that I always thought I had a 4th great grandmother who was a full-blooded Cherokee from Sevier County Tennessee (which is deep Cherokee country), and although tons of Americans think this, we really thought she was, as there were stories about her passed down mentioning her appearance referring to her as a small brown full-blooded Indian woman who liked to smoke her pipe on her porch of her log cabin in Eastern Tennessee. And although we have no pictures of her, we have pictures of her granddaughter, who totally looks Native American (I know.. but she really does). However, we’ve never been able to confirm it because I guess some court houses burnt down around there, so we don’t even know her maiden name or anything. So of course when these DNA tests became available, a bunch of my family took DNA tests, but none of them showed Native American, not even a trace, so we all put the thing to rest as false family rumor, and just assumed my great great grandmother just randomly had darker complexion and features that were really unique or something…. However, even though we all had no results showing Native American in our DNA, we got traces of “Melanesian.” So of course we wondered if that was what this great grandmother might have actually been, but were then confused about how she could have came from the opposite side of the Pacific Ocean and then end up in Tennessee in the early 1800’s. We couldn’t figure it out, so again, we put it to rest. BUT then a few years later…. in July 2015, those two major studies came out, and were all talking about how there was a link between Melanesian/Oceania and Native Americans, that said Melanesian was found in the South America and the Amazon populations, (but not the North American populations). But based on this, I started looking into it again, and uploaded our DNA to Gedmatch, and two of the Gedmatch calculators, World 9 & 22, does show we have a very small amount of Native American, its tiny, but its there, and also our Melanesian shows up still but a little bit smaller amount along with it. So I’ve now concluded this Melanesian that keeps showing up is actually my Cherokee grandma from Tennessee. But then this still leaves the question, when were Melanesians migrating to Tennessee area? Or to North America in general? Because I have no idea where else this DNA in our family would come from because I’m entirely European other than this so would be weird if it was just “noise.” Plus, apparently there’s very little admixture with Melanesians, even with their neighbor population groups. So if all that is true, unless I’m part Melanesian, then how’d this get in my DNA then? In other words, I just think nobody knows a dang thing what happened, or where people came from, or when or where they went, because they were shocked to find any Melanesian in the Americas, but even so, they’ve limited it to only South America. However, unless somebody can provide me with some other explanation for my family’s DNA results, then I am pretty sure there were Melanesians that also went to Tennessee. I doubt hypothetical melanesians were replaced all over the two continents, simply because out of hundreds of ancient remains sequenced to date, none have any melanesian markers for Ydna or Mtdna. Since the aleutians and Ne dene have the small percentage ofOceanic DNA, it cant be older the the First American component, and came into Americas with the Aleutian/Athabaskan migration. For the origins of the Ashkenazim, keep your eyes peeled for information and data coming out of the piedmont of the Alps; namely, Alsace-Allemande area. This area was part of “Old Europe,” and therefore originally Celtic-Germanic. It then became part of the Roman Empire. “Roman Latin” (That’s what they call it) is still spoken, though politically forced migrations in recent times has left the region divided into German (Low German spoken) and part Italian (Italian spoken) areas. During Roman Imperial times, Jewish slaves were brought to both Greece and Italy (2nd Century). As they were progressively freed or fled, the safest place from pursuit was found to be the piedmont of the Alps on the “German” side of the mountains, also known as the headwaters of the Rhine and Danube rivers. Even if just a few communes survived, just like the Mennonites and Amish they would have expanded to where they could form the entire modern group of the present-day Ashkenazi. But, that’s not to say that Europeans from this area are all Jewish. The Ashkenazi are a sub-clade of these Europeans, and the term really shouldn’t be used by DNA writers since it has religious connotations, and DNA is not religious, but scientific. Anyway, when you have been found to be “3/4 Ashkenazi” by two or three DNA labs, and you look Celtic-German with German (Lombard) y and x2b (Old Europe X DNa) on the maternal side, you start to think like this. As far as I can see explanation, the laboratories are following faulty science, and Ashkenazim as a DNA category is fraught with error, at least as far as my case goes. I had read Graham Hancock a looong time ago, and so when I recently stumbled on the Indus Valley civilization (now that I have the internet), I had a familiarity with some of the Mayan Mythology. The Indus Valley civilization has a system of writing that cannot be deciphered, although some comparisons to Mayan writing have been made that are convincing. Further, the writing seems to appear on the Easter Islands. Dravidian in India can trace grammatical structure and rituals or beliefs back to the ancient civilization in the Indus Valley. Now what’s really interesting is when you think about the Maya, which means sorcerer, but in Hindu means illusion, there are a lot of similarities in the deities and beliefs. The Indus Valley people were excellent sailors and traded heavily with Mesopotamian societies. Now, Mayan Mythology says their founder came from the very far east, through a miraculous opening that let them pass and we date that to 1400 BCE (I think). Now there was a geological event that people used to explain the parting of the Red Sea in the Bible, an eruption that would have raised the sea level on both sides of the volcano and made dry land from the eruption. This event is also around that time. What if the Maya, knowing the earth was a circle, tried to go home, since they had been stranded without a way back after the eruption? It is where European ships landed when they set out from Spain…. It would offer an explanation for similarity to North African or Middle Eastern/Central Asian decent. RaceRealist: If you bother reading actual Ashkenazi historians (e.g. Arthur Koestler, Shlomo Sand, at alia), you will discover that the Ashkenazi are not only Khazarians pushed out of Khazaria circa 1200CE but that they were converted to Judaism by their king circa 750CE to enhance his control of his people with a religion and he chose Judaism to avoid forced alliance with either the Byzantine Christians in the north or the Islamic Caliphatists in the south. No Authority has ever contested Mr. Koestler’s account and Mr. Sand is the son of an IDF colonel. The propaganda efforts to deny this are because of zionist claims to their heritage and “homeland” which, historically at least, are lies. This also moves the onus of virulent anti-Semitism from their benefit to the accusation that they are the most virulent anti-Semitic racists currently extant hating all that is truly Middle Eastern, the land of the Semites. But, in the end, they are Turkiç. ‘Speculation’ is a Human option, but bothering to learn the actual history is much better. No? Maybe therefore the “prejudices” against redheads (no soul, sinister) and dark skin (primitives). DNA of prisoners might be enlightening? More recent data suggests that east Asians like the Chinese have the most Neanderthal DNA, and they have some of the world’s lowest violence rates. The world’s highest homicide rates are in Africa and Latin America (I don’t trust reported rates entirely, because of the possibility of homicides not getting reported in some areas, so I simply regard these two regions as about equal.) So there’s no real correlation between Neanderthal and violence. 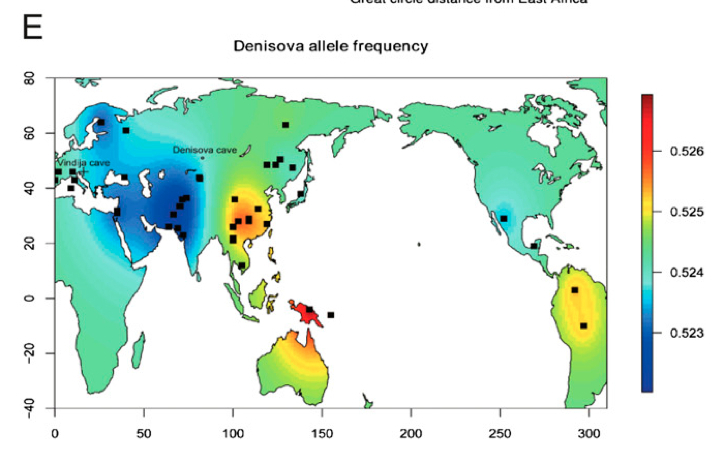 Denisovan is rare in modern humans, not found much outside of Melanesia and a tiny fraction in folks like the Tibetans. It’s hard to say much about them. There were other archaic species that contributed to modern humans that we don’t know anything about because we have yet to find any of their bones, but we have found their DNA in modern genomes in Africa. The story is still, as they say, evolving.